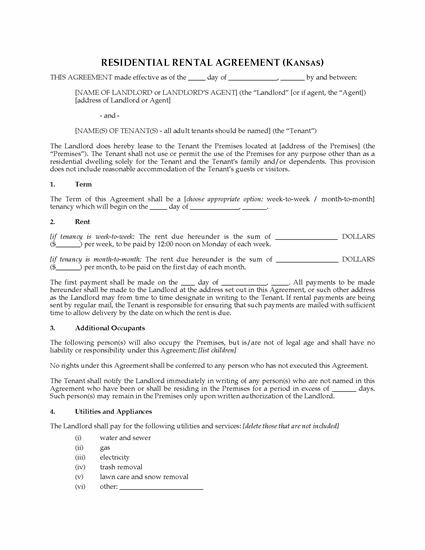 Rent a house or apartment in Kansas to a tenant with this Rental Agreement for Residential Premises, for a monthly or weekly tenancy. 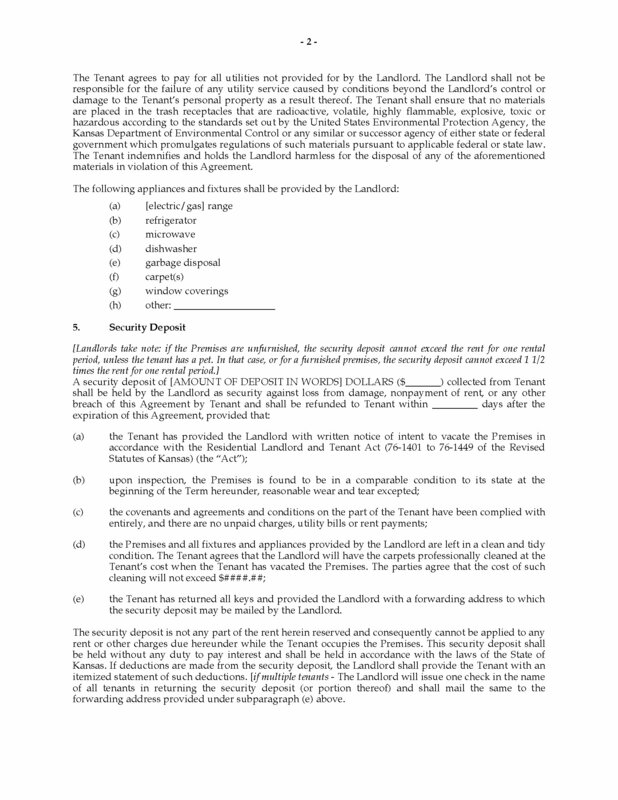 Provisions for termination by either party, in accordance with landlord-tenant laws. 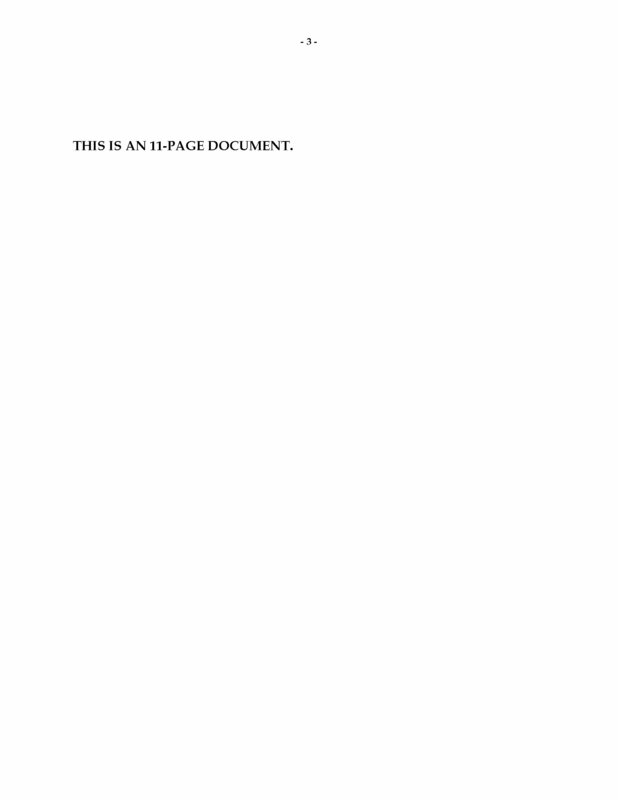 The file also contains a Lead Paint Disclosure form, as required by law. 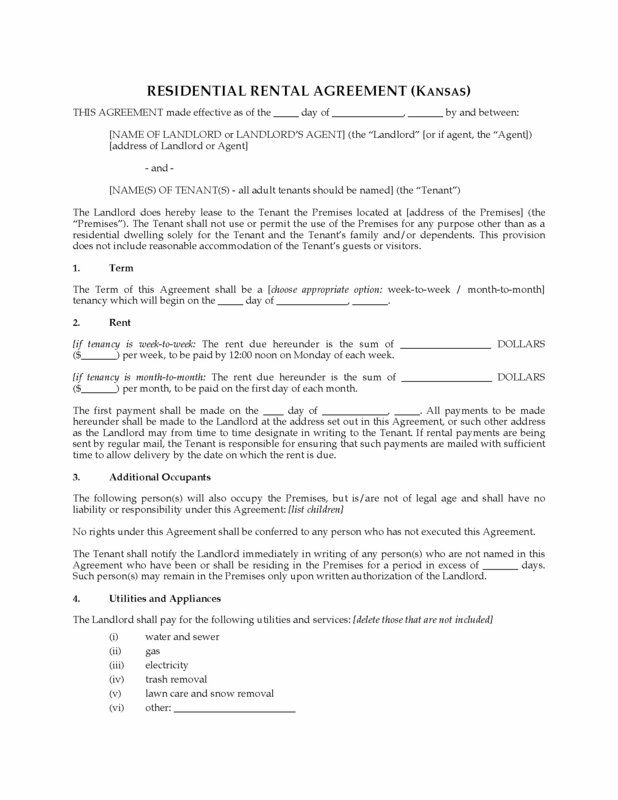 This Kansas Rental Agreement for Residential Premises is provided in MS Word format, and is fully editable to fit your particular circumstances.